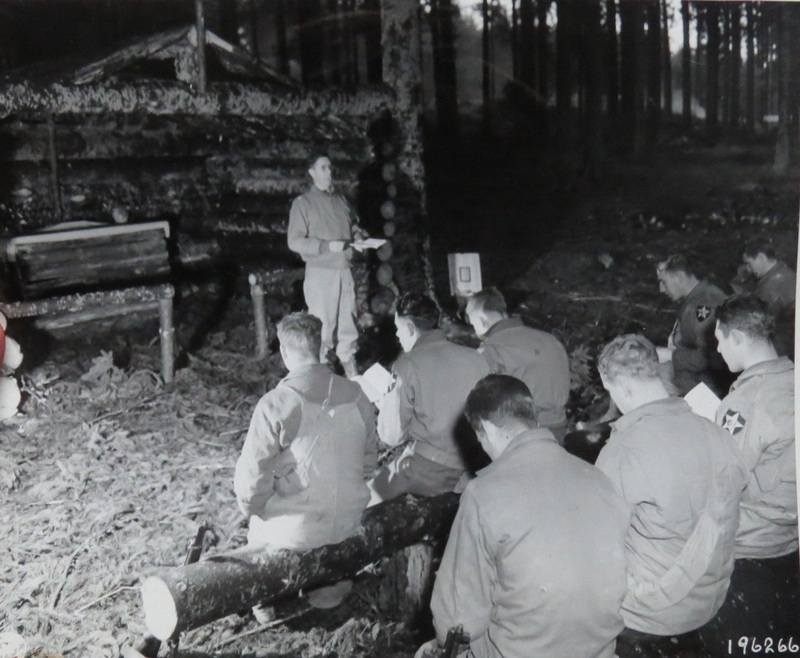 Chaplain E. Sinfield (Protestant Episcopal) of 3d Bn, 38th Regt, 2d Div., conducts church service in an outdoor chapel built by men of his unit in the Schnee Eifel Forest, Germany. “Worship service in our chapel at Maison Blanch, 9 miles from Algiers. 1942” (author’s collection). U.S. 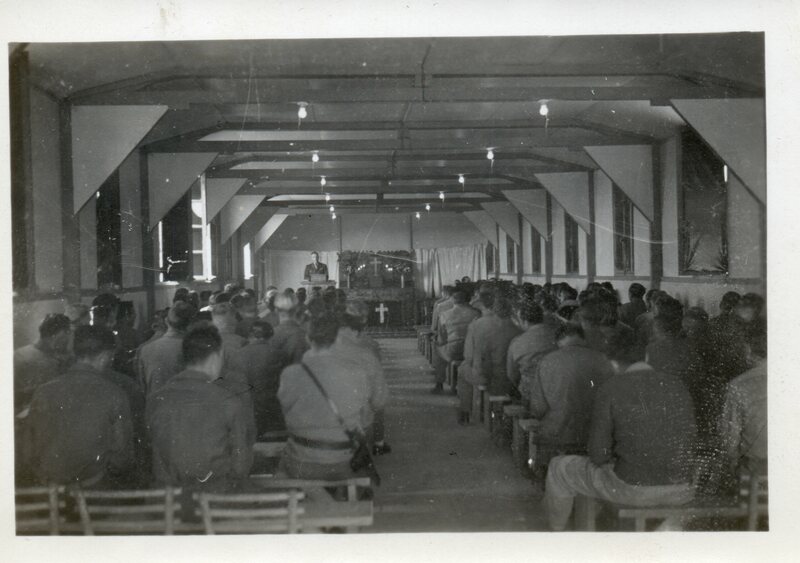 Sailors worshiping at the Navy Chapel in Portsmouth England, 1942.